The most famous Legends of Europe combined to strive for the right and good. Not Cosplay, we live the role! 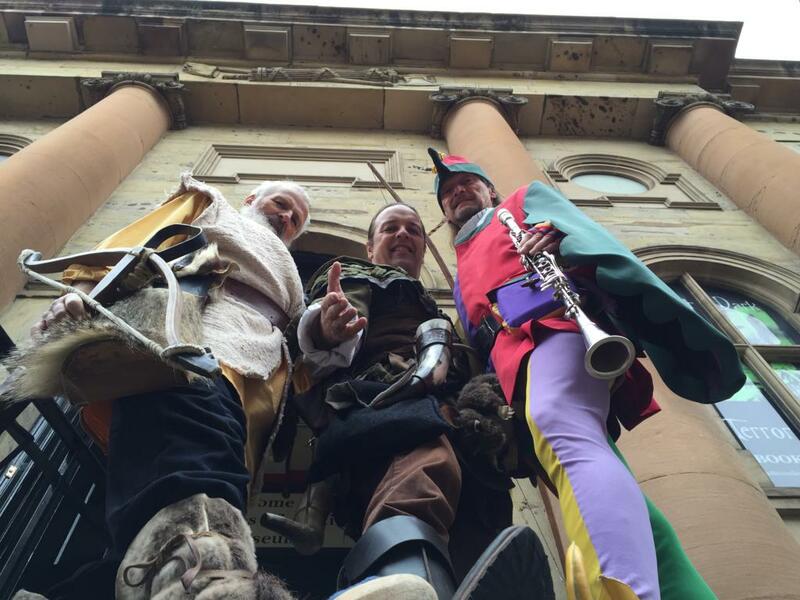 Robin Hood of Nottingham, The Pied Piper of Hameln, William Tell in Gersau, these are the legendary figures of Europe! Each is a representative of their national pride, a symbol of resistance against evil oppression, The Legion of European Legends! The tradition began in 1995, as Robin Hood and the Pied Piper met at a medieval festival in Quebec, Canada. Soon there were reciprocal visits to Hameln and Nottingham, as documented in the Photos section. Further cooperations are constantly in the planning, from medieval festivals, international historical banquets, and meetings in the related cities. Invite the Legion of Legends to your historical event! Contact us for detailed information on costs and availability.